German actor Hans Werner Meyer, starring in over 120 film and TV productions in Germany, and the FAIR INTERNET Coalition, representing over 500,000 professional performers across Europe, formally delivered today the “Make the Internet fair for performers” petition to Axel Voss MEP, rapporteur on the review of Copyright Directive in the European Parliament. 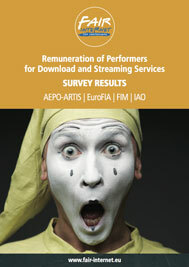 The petition, supported by more than 33,000 signatories, calls on the European Parliament to grant EU performers an unwaivable right to fair remuneration for the on-demand use of their work. Consumers in Europe predominantly access creative content such as music and movies today via on-demand services like Spotify, Netflix and iTunes. The majority of professional performers are, however, not fairly remunerated for these forms of exploitation of their work. 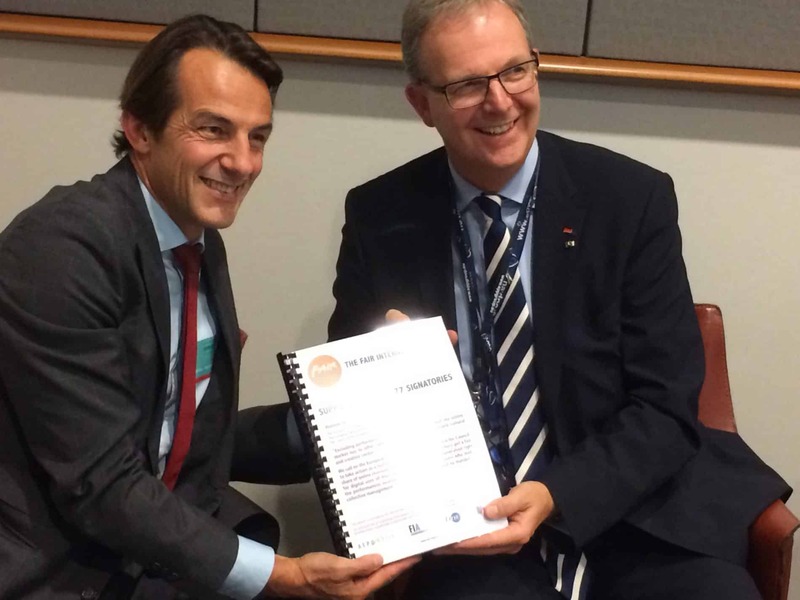 While handing the petition over to MEP Axel Voss, Hans Werner Meyer stated “I encourage the European Parliament to continue supporting the rights of all performers. Performers are at the heart of Europe’s cultural identity and they must be able to make a decent living from their work. The EU draft copyright directive is an opportunity to make it right, and I count on the European Parliament’s support“. Axel Voss MEP accepted the petition and said: “We will discuss the remuneration right in the next shadow-meeting. Seen the high importance of this topic, I hope for a fruitful discussion that can lead us to a balanced approach“. AEPO-ARTIS, FIA, FIM and IAO, partners of the FAIR INTERNET Coalition, call on the EU institutions to take meaningful measures to enhance the wellbeing of all performers in the framework of the current debate on the draft Copyright Directive. Performers are facing a crucial time in the protection of their intellectual property rights and their future ability to derive a fair income from online use, as the EU undertook a major copyright reform with the publication of a draft Directive on Copyright in the Digital Single Market on 14 September 2016. The provisions in the Commission proposal (articles 14-16) seeking to increase transparency, enable contract adjustments and facilitate conflict resolution, are currently too weak and fail to address the fundamental needs of most performers in the online environment. With only a few exceptions, the suggested provisions will not generate additional revenue for them and neither will the much debated article 13 on “value gap”, as it stands today disconnected from a guarantee of remuneration for performers. These provisions do not go far enough. Both the Parliament and the Council need to take further steps to ensure that all performers can be fairly remunerated in the online environment. The FAIR INTERNET coalition therefore calls for the introduction of an unwaivable right to equitable remuneration for on demand use, paid by on-demand platforms (iTunes, Netflix, Spotify…) and subject to mandatory collective management. It is a simple but effective mechanism to improve the livelihood of all performers in a meaningful way. Similar mechanisms already exist in European legislation – e.g. the equitable remuneration right for broadcasting and communication to the public (e.g. TV and radio broadcasting) provides performers with a fair revenue share, irrespective of the terms of their contract. The FAIR INTERNET proposal has already received support from within the European Parliament: on 11 July 2017, members of the European Parliament Industry and Culture Committees adopted opinions supporting the right of performers to receive an unwaivable remuneration for on demand use. Amendments tabled in the lead Legal Affairs Committee also suggest broad political support.